The New Black Eagles Jazz Band has been a New England jazz institution since 1971, “keepers of the flame” that continues to draw fans of traditional jazz to their performances throughout the northeast and all over the world. 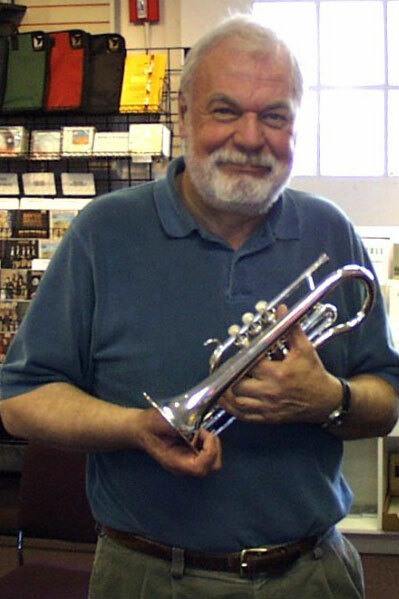 On Friday, May 4th, their leader and founding member, cornetist Tony Pringle, died at the age of 81. A Brit, Pringle is considered by some “the best musical import America ever received from Liverpool, England.” In 1957, while still training for his day job in telecommunications back in Liverpool, he formed The Druids Jazz Band, in which he established his bona fides as both player and leader. He moved to the US in 1967 and, within two weeks, was part of the Exit Jazz Band with Stan Vincent, Stan McDonald, and Gil Roberts. Two years later, he joined The Black Eagle Jazz Band, initially playing trumpet but soon switching to cornet. The Black Eagles band played regularly at the iconic Passim's Coffee House in Harvard Square, Cambridge, Massachusetts, but broke up after a final performance at the 1971 New Orleans Jazz and Heritage Festival. It wasn’t long, though, before Tony and some other former Eagles, put together a group they briefly called the Boston Bayou Jazz Band, which, with some additions, morphed into The New Black Eagles Jazz Band. Diehard trad fans in New England will remember well the band’s original lineup: Tony Pringle, Pam Pameijer, Peter Bullis, Eli Newberger, Stan Vincent, Stan McDonald, Bob Pilsbury and Norm Stowell. On September 30, 1971 the New Black Eagles Jazz Band played its first performance under the “New Black Eagles” name on the Peter Stuyvesant, a ship moored beside Anthony’s Pier Four Restaurant in Boston Harbor. The band soon began regular appearances at Yeadon’s Sticky Wicket Pub in Hopkinton, Massachusetts, a long-running gig that established a legend that lives on to this day. Tony Pringle put King Oliver at the top of his list of inspirations, a list that also included George Mitchell of the Red Hot Peppers, Kid Howard and Henry “Red” Allen. Along with his infectious laugh, growly vocals and amusing, off-hand commentaries, Tony’s style could be recognized by a distinctive, plaintive tone that smacked of Mutt Carey in the 1940s. Clarinetist/saxophonist Billy Novick, a present-day member of the New Black Eagles Jazz Band, describes Pringle’s playing as “spare.” Indeed, the cornetist never dazzled with a proliferation of notes, but rather with his careful, thoughful selection of just-right ones. Tony Pringle, one of the keepers of the flame, has died at 81.